The gravy was thick and fragrant. The duck had its bone removed and chopped into small succulent tender pieces. It had the infusion of both the fragrance of duck meat and spices. The rice was well cooked. Every rice could be separated easily. The cucumber was fresh and crisp. I saw many customers mixing a type of sourish chicken chilli with balacan chilli. 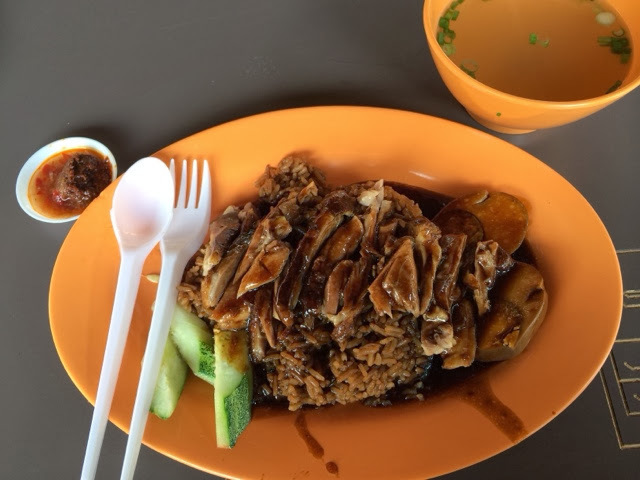 I still prefer having just the balacan chilli as it mixed better with the duck meat. The soup tasted like the usual chicken rice soup. The outdoor seating was nice as I picked one with a sea view and sheltered. It was windy. 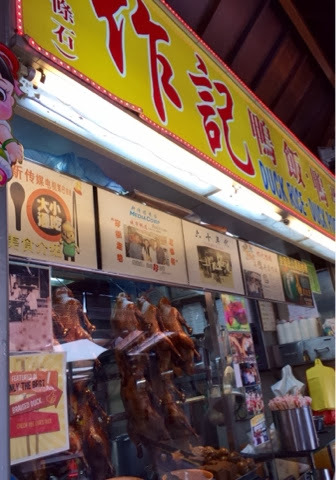 It served a variety of duck meat, web, liver, some skin flaps, intestines etc. The queue was slow moving. The soup was not provided. Remember to ask for the soup. Eating while facing the blue sea is definitely a nice chill. Zuo Ji that attracts a crowd up the meter by one notch. 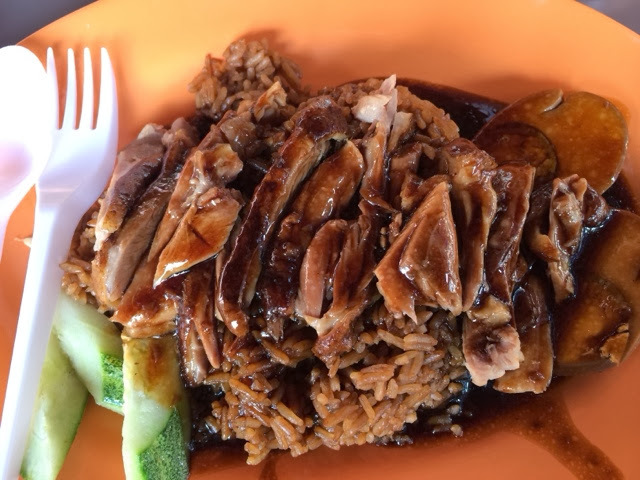 Definitely would be back if I had a craving for braised duck rice. Yums!